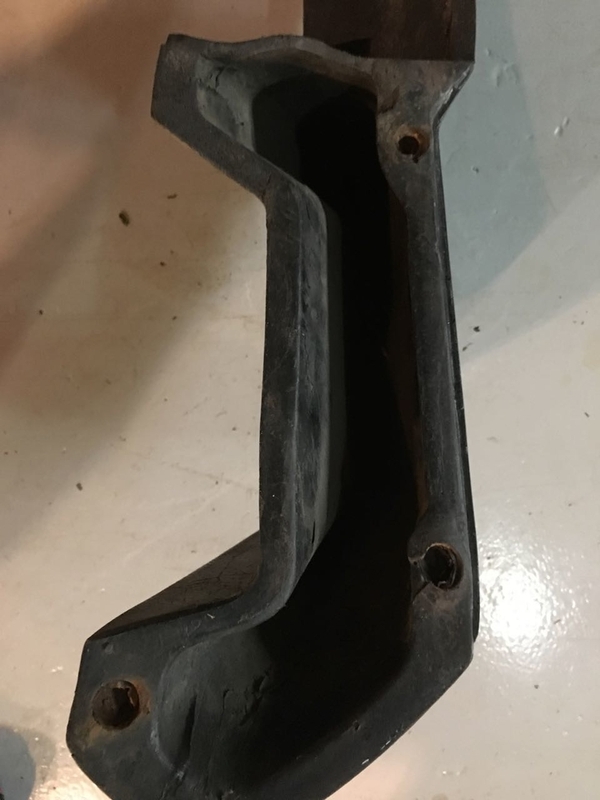 My new project car came with this bumper even though it is an early 72. Someone must have felt left behind back in the day and used threaded rod to bolt this bumper directly to the car body, making their Pre L look like an L car. My project is going back to Pre L bumpers and I need to dispose of this bumper. But can someone use it? It is very straight with no warping, but it looks like maybe some studs are snapped off? If this is the case, can it be fixed? L bumpers attach to the car through big tubes from the shocks in the front of the car. But a straight L bumper would be something nice for someone to have.